*Effective 1/4/2015, All Insurance premium paid are subject to 6% Goods and Service Tax (GST) and Tax Invoice will issued by insurer (insurance company). accidents can happen any time. When they do, you would want immediately access to the best medical care you can get. However, you know that hospitalization is expensive. Medical costs are high, and getting higher every year. How do you ensure that you get the medical care you want for yourself and your family? ACPG Medical & Health Insurance Plan can help put your mind a rest. Helping you deal effectively with all serious health problems, from the need for prompt diagnosis to prearranged care at an approved panel hospital of your choice. In the event of serious medical emergencies, you can be covered for immediate admission to the nearest approved panel hospital. 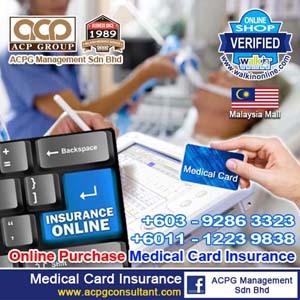 With ACPG Medical & Health Insurance Plan, you need not worry about funding for your healthcare costs or it being a burden on yourself and your loved ones. All you have to do is to select from a choice of Medical Insurance Plans that suits your needs. 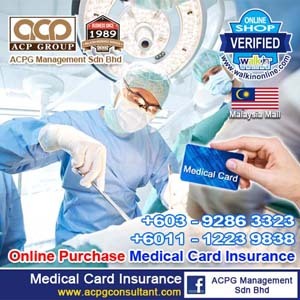 Furthermore, the annual premium you pay will qualify for the RM 3,000.00 medical tax relief subject to the final approval by the inland Revenue Board.